There is a huge passion for football throughout Africa and the Cameroon national team is one of the continents most successful teams. Fondly known as the Indomitable Lions Cameroon has fans both throughout Africa and around the globe, you can shop for your Cameroon football shirts here at Soccer Box. Place your order online to choose from a variety of fast worldwide shipping options. Cameroon has qualified for the prestigious FIFA World Cup finals on seven occasions; this is more than any other African team. They were also the first team from an African nation to reach the quarterfinal stages; this was in 1990 when then were eventually knocked out by England. These records have given kudos to the Cameroon football team, and propelled their support beyond their country’s borders and around the globe. In addition to their success on the International stage Cameroon has done even better within their African Football Confederation. Cameroon has won the African Cup of Nations on four occasions in 1984, 1988, 2000 and 2002. This record makes them the joint second most successful country in the tournament. Recently, it has not been success on the pitch that has thrust Cameroon into the media spotlight but controversy over the team’s football kit. Since 1998 Puma has manufactured the Cameroon jerseys. In 2002 Cameroon infamously wore a sleeveless jersey for the African Cup of Nations, which they won. However, in the same year FIFA banned them from wearing the sleeveless shirts for the World Cup, and Puma was forced to add black sleeves to the design of the jersey. At the 2004 African Cup of Nations experimentation in football kit design was taken a step further, with Puma designing a one-piece Cameroon football kit. This was declared illegal, with FIFA stating that players must wear separate shirts and shorts. Puma actually took FIFA to court, claiming that the requirement for separate jerseys and shorts was not in the official game regulations. Puma lost the case, but FIFA rescinded the point’s deduction that they had placed on Cameroon’s qualifying campaign. 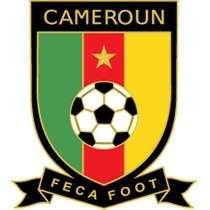 The team was forced to wear a two-piece kit, and since this time Puma has stuck to designing traditional shirts, shorts and socks in the green, yellow and red colour scheme that Cameroon is known for. Here at Soccer Box we are supplied directly by Puma, enabling you to shop for official Cameroon football shirts. We aim to keep our prices low, and we offer worldwide delivery options. Browse our online store and make us your first stop for Cameroon and other team jerseys, kit and football accessories.